rights relating to tombstones, with a number of cases involving a sibling omitting the names of others on a parent’s tombstones. Cui Yan v. Cui Shufang. Cui Yan was the granddaughter of a deceased couple, Cui Jinshu and Li Runhua. She sued her aunt, Cui Shufang, for failing to inform her about the death of her grandmother (the grandfather passed away many years before). The court ruled that the aunt did not have a legal obligation to inform the granddaughter, although informing her would be in accordance with good morality, but Cui Yan did not visit or care for her grandparents during their lifetime and that was more significant than saying farewell to the departed. The facts of the case are familiar to people around the world–the grandmother left her apartment to her daughter in her will, excluding her other children. The aunt, in defense of what she had done, alleged that Cui Yan’s parents had abused the couple. Huang Bin, researcher of the Applied Jurisprudence Institute, who edited the case, noted that the case raised three questions: whether Chinese law protects the right to venerate ancestors; if it constitutes a right, then what constitutes a violation of that right; and conversely, what circumstances do not violate that right. Huang noted that Chinese law does not protect that right, currently, but in his view, it should, looking to legal theory to support his argument and analogizing it to the right of privacy. A breach should be covered by the elements of tort law: infringement of rights protected by law; fault; damage to the infringed party; an causation. Although these cases occur frequently, the editor remarked that few people research this. It raises issues such as: who should enjoy this right, what type of notice should be required, how to calculate damages, and exemptions. The editor suggests looking at resources outside the court, such moral reasoning, administrative assistance, mediation and so on, in order to save court resources. Although statistics on the number of cases are not available, a quick search of one of the judgment databases revealed about 100, arising primarily in Beijing, Shanghai, and Zhejiang. According to a recent press report, a Beijing court recognized veneration rights of a bereaved father. 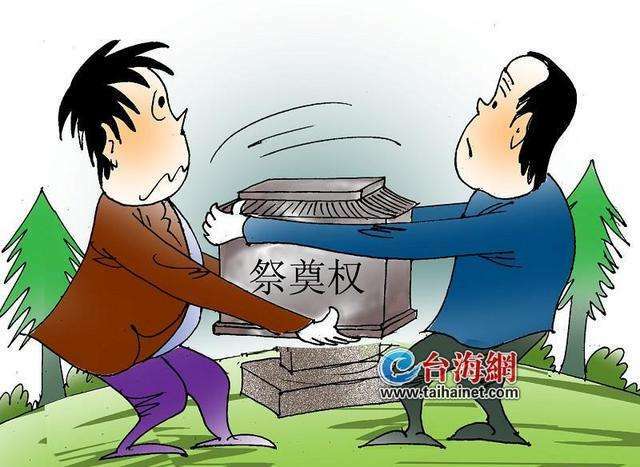 The father had sued his son in law for damages in the amount of 100,000 RMB for removing his daughter’s ashes without informing him and seeking the right to determine where the ashes should be stored. The court ordered the son in law to pay 20,000 RMB damages to his father in law for inflicting mental distress, compensate him for the cost of a portrait of his daughter, but said the widower had the right to determine where the ashes should be stored. The drafting of China’s Civil Code is underway and unbeknownst to the world outside of China, whether the Civil Code should recognize veneration rights is part of the discussion. The fact that these cases are on the increase is significant for what is means for changes in Chinese society, how ordinary Chinese people are using the courts, and the place of traditional customs and morality. These cases are one of many in which Chinese judges find themselves having to deal with claims to individual rights in the absence of clear law. This entry was posted in Case law, Elderly law, rights and tagged veneration rights. What is the gender of the plaintiff in the Cui Yan case? Woman–thanks for flagging the he.